Aloe Ferox Fabulous Fibre Bitter offers a natural remedy for constipation thanks to its diuretic properties . Assist with regulating bowel motions, preventing constipation. 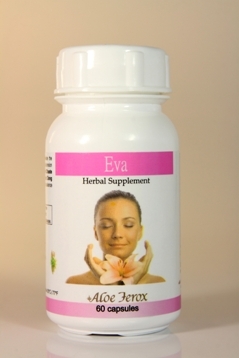 Aloe Ferox Fabulous Fibre Bitter – a natural remedy for constipation. 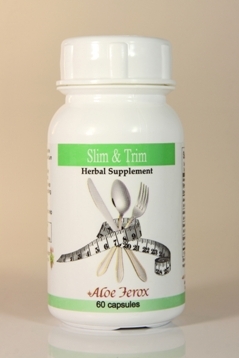 A herbal supplement, they act as a natural digestive remedy due to the diuretic properties of Aloe Ferox. It helps assist with regulating bowel motions and preventing constipation. by maintaining regular bowel movement and thereby avoiding constipation. by supporting detoxification and disinfection. by assisting the destruction of bacteria, viruses and parasites in the digestive system. by acting as a natural anti-inflammatory and therefore may provide pain relief in some individuals. ‘We have tried everything (for constipation) even Aloe Vera, but nothing else (except for Aloe Ferox Fabulous Fibre Bitters) works.’ Mrs. White. ‘Aloe Ferox has changed my life completely; being constipated has always been a major problem!’ I Fourie, Surrey. Laxative: take ½-3 tablets in the evening in a single dose. Use the smallest dose necessary to maintain a soft stool. When taking for the first few times, always start with the smallest dosage to avoid diarreah. Other uses: take ½-1 tablet daily with meals. Active ingredients. Aloe ferox Whole-leaf & Bitters, Magnesium Stearate, Microcrystalline Cellulose, Polyvinyl Pyrrolidone, Pyridoxine HCI, Silicone Dioxide. Supplement facts. Amount per 3 tablets. Calcium 40 mg 4% RDA, Magnesium 10 mg 2% RDA, Sodium 10 mg <1% RDA, Potassium 10 mg <1% RDA, Aloe ferox whole leaf 900 mg, Aloe ferox bitters 450 mg. Other: Dicalcium phosphate, starch, aerosol 200, sodium starch glyhcolate, magnesium state. Warning: excessive dosages may cause cramping and diarrhoea. Suitable for Vegans. Do not use Fabulous Fibre Bitter in cases of intestinal obstruction, acute inflamed intestinal disease (e.g. Crohn’s disease, ulcerative colon inflammation), appendicitis, abdominal pain of unknown origin, pregnancy and breast feeding.